The Brown Thornbill and Tasmanian Thornbill are very similar. Scalloping on the crown is seen in the Brown Thornbill whereas the Tasmanian Thornbill has a plain brown crown. 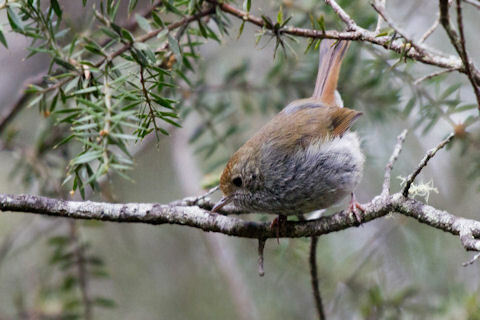 The location also helps with identification as the Tasmanian Thornbill prefers wetter habitats.